The Cotton Avenue Coalition is proud to present the Cotton Avenue Revival Festival! 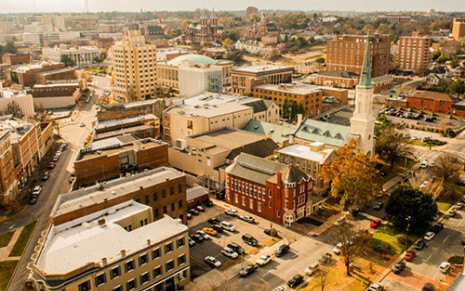 The Cotton Avenue Revival Festival is a celebration of the historic Cotton Avenue district in Macon's historic downtown. The Festival will include a full line-up of performances by talented musicians and dancers, historic walking tours, tours of Cotton Avenue's beautiful churches and more! The Festival will take place in the 800 block of Forsyth street. The Festival is free and open to the public. The Cotton Avenue Revival Festival is a sanctioned Cherry Blossom Festival, Macon Georgia event. The Cotton Avenue Revival Festival is mae possible by a grant from the #DowntownChallenge fund of the Community Foundation of Central Georgia.